7 April 2017, at 6:00a.m. Mexico’s poultry industry suffered a setback in 2012 with an outbreak of avian influenza that resulted in the loss of millions of birds, but since then it has been rebounding. Nuria Martínez Herráez finds out more. César Quesada Macías took the helm as President of Mexico’s National Union of Poultry Farmers (UNA) last April, when the industry had widely recovered from the H7N3 avian influenza outbreaks, which started on layer farms and later spread to some broiler breeder flocks, including his own. A working group on avian influenza met for the first time in August in Canada and was attended by health authorities from the US, Canada and Mexico. One of the group’s aims was to strengthen the sharing of information, to ensure all three countries can work together to prevent and respond to outbreaks. Quesada believes this strategy of collaboration will improve protection from the disease. The Mexican authorities have increased their own national efforts in animal health since the 2012 outbreaks, according to Quesada. He believes the country is now in a much better position to combat threats like avian influenza. Queseda outlines some of the improvements: “The Mexican authorities have strengthened the infrastructure of official laboratories, and they now have the ability to run thousands of samples every day so they can quickly report results and provide better diagnosis. The surveillance system is now more efficient and communication between producers and health authorities is better than it was.” He also praises the programme for ensuring the safe movement of poultry products within Mexico, with authorities acting to prevent products from risky areas, such as those conducting avian flu vaccination, from entering parts of the country that are free from disease. The structure of the poultry industry in Mexico has changed since the 2012 avian influenza outbreaks too, says Quesada, and he pointed to this as a key target for improving the industry in the future. “We must continue working to modernise facilities and strengthen the health infrastructure,” he says. “I don’t believe that Mexican facilities were bad, but in some areas the industry grew haphazardly and many farms were concentrated in small areas. “But now the density of some areas has gone down, such as Jalisco [a coastal state west of Mexico City], which has gone from producing nearly 65 per cent of eggs in the country to now only producing about 50 per cent. Some of the producers in the area have changed or have relocated production farms.” Reduced density of farms and poultry means a reduced risk of bird flu and other infectious diseases spreading. Bird health is not the only concern for Mexico’s poultry industry, however. Quesada identifies imports as one issue – chicken imports have grown in volume and represented 15 per cent of chicken consumption in Mexico in 2015. He suggests that imports from the US could be considered dumping, as they mainly include low-value cuts such as legs and thighs. Progress on exports out of Mexico might help the country’s poultry industry deal with the challenges of globalised poultry trade. Gaining new markets is another priority for Quesada during his time as president of the UNA. “We are looking to certify plants for export to the US, but we are also looking at other markets such as South Africa,” he says. “Soon we will begin a mission to Japan, which is interested in Mexican products, and we are also looking towards other markets in Asia and opportunities in Arab countries for halal-certified products.” Fourteen states have already been declared free from avian influenza and the whole country is free from Newcastle disease, which should make such progress easier. Mexico is the largest consumer of eggs worldwide, at about 22kg per person per year, but Quesada believes there is still room to improve consumption. The Mexican diet and eggs’ good value from a Mexican consumer’s point of view gives him confidence that there is an opportunity for the market to grow. “In the case of chicken, we have maintained a growth in per capita consumption and we now have about 33kg [per year] of total consumption, of which about 27 kg are produced nationally. The challenge is to continue producing quality and bringing the product to the consumer at a good price,” he says. Producers will also be targeting future growth in the turkey sector, aiming to improve availability of fresh and processed turkey products in Mexican supermarkets. “Turkey production is still low and is concentrated in the north of the country, and partly in the southeast as well,” says Quesada. 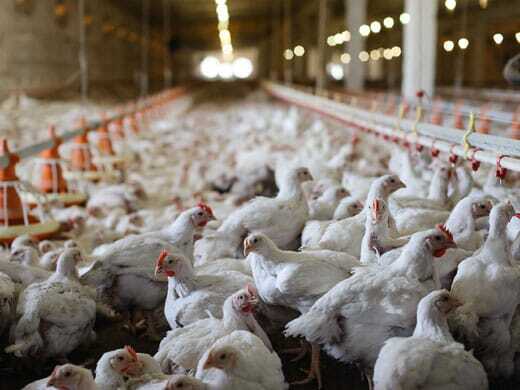 His organisation is spearheading marketing campaigns to boost consumption of poultry products – not just in the form of advertising, but also in the form of fighting misinformation about poultry farming practices, Salmonella and cholesterol in eggs, among other issues. Despite the challenges, Quesada is positive about the future of Mexico’s poultry industry, saying that there is great enthusiasm to invest in it, and a very cordial friendship between competing producers in his union.